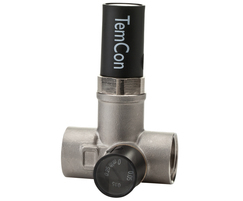 The TemCon thermostatic valve is designed for use in domestic hot water systems with circulation. 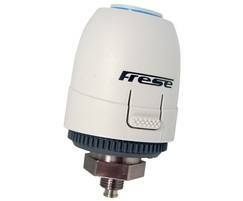 It automatically controls the temperature of water circulating through the system, ensuring thermal balance throughout. 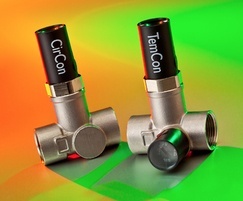 The valve can be adjusted to temperatures between 37°C and 65°C. 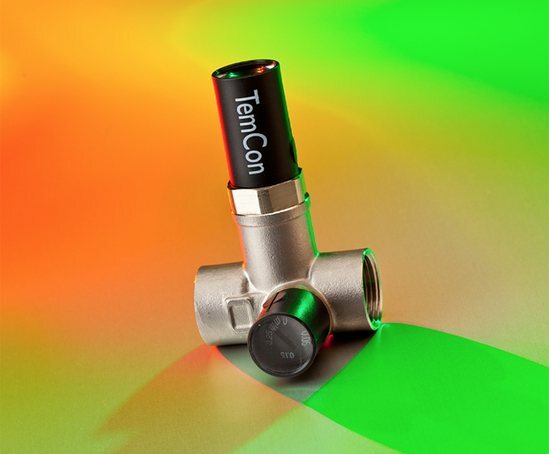 The TemCon thermostatic valve has a by-pass outside the thermal part of the valve, which makes it suitable for hot water installations with bacterial problems such as legionella. In these applications, the temperature of the water can be raised to between 70°C and 80°C at certain intervals. 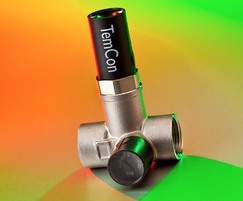 Insulation jacket - TemCon valves are delivered as standard with insulation for increased energy efficiency.